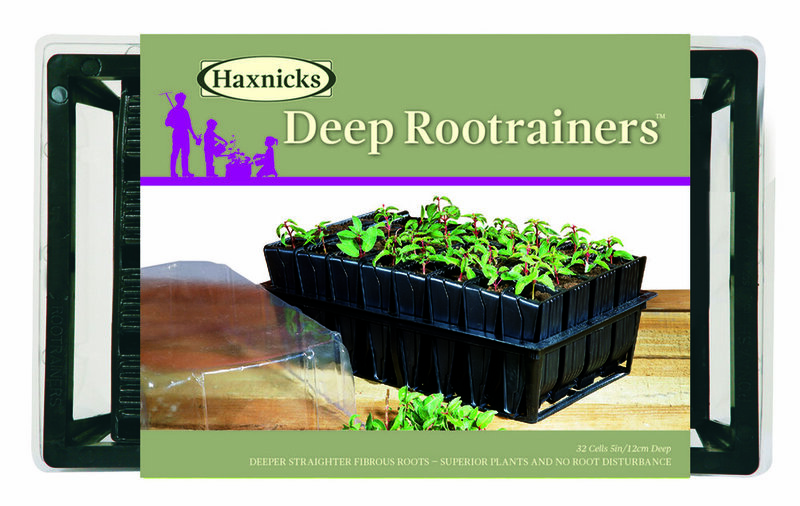 Haxnicks Rootrainers have unique design features, and are not just another propagator cell system. Rootrainers provide the prefect start for all seeds, seedlings, plugs & cuttings, especially those that require deep root runs and those that are sensitive to root disturbance. Rootrainers have unique design features, and are not just another propagator cell system. Rootrainers provide the prefect start for all seeds, seedlings, plugs & cuttings, especially those that require deep root runs and those that are sensitive to root disturbance. 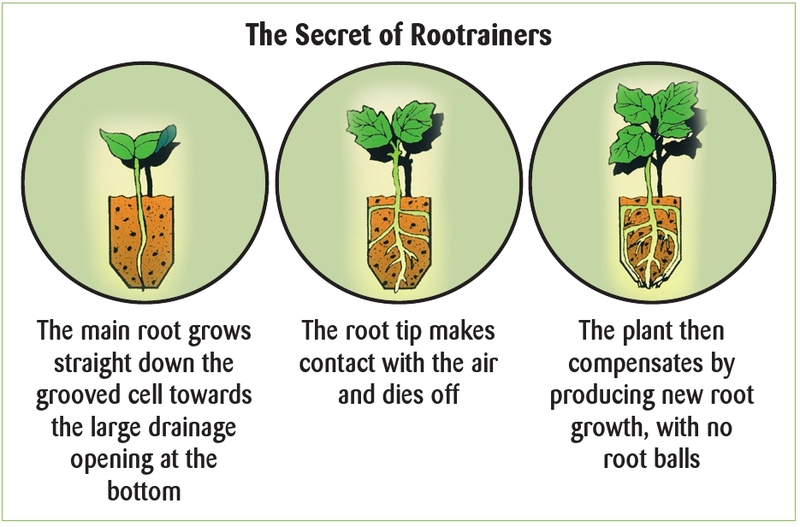 The only propagation system gardeners ask for by name, Rootrainers encourage vigorous & strong root formation; roots grow straight, avoiding root balls and pot bound plants. Opening the Rootrainer up in a book-like fashion allows for easy inspection of moisture levels and root progress, as well as easy removal of the young plants.